In a challenging economic landscape, our hospital customers find tremendous value in the wealth of information that mySMARTS provides. OR CALL 877-677-7767 FOR ASSISTANCE. 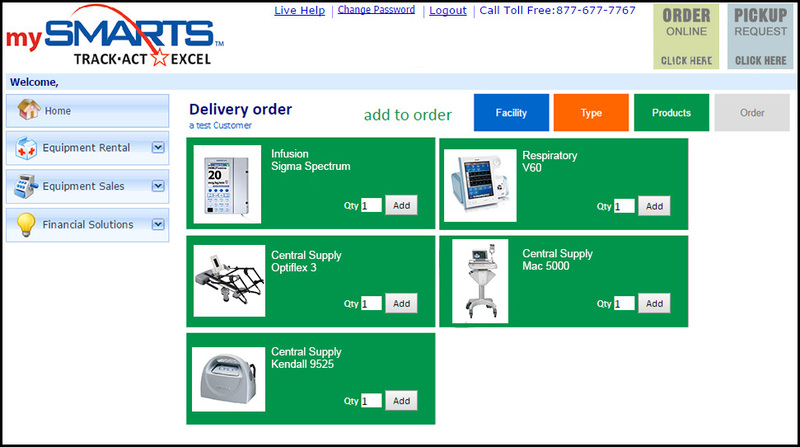 mySmarts is an online, password-protected application available to all US Med-Equip rental customers for the comprehensive online management of their rental equipment. Online Ordering and Pickups – Customers can schedule orders and pickups of equipment online. 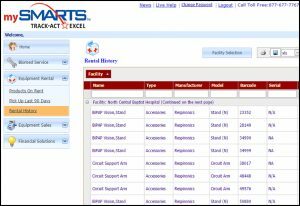 Equipment Information – Get critical equipment information such as a list of current rental items, rental history, PM due reports, Biomed service reports and more. Financial Information – Customers can access online invoices, billing reports by department and warranty information for sold equipment. Tracking Information – With the ability to assign location information to rental assets, you can track which department has what equipment. Our in-house Software Development Team works continuously to ensure that the design and development of mySMARTS software meets the specific needs of our customers. With customizable permissions and user dashboards, mySMARTS gives each role in the hospital exactly what they need. 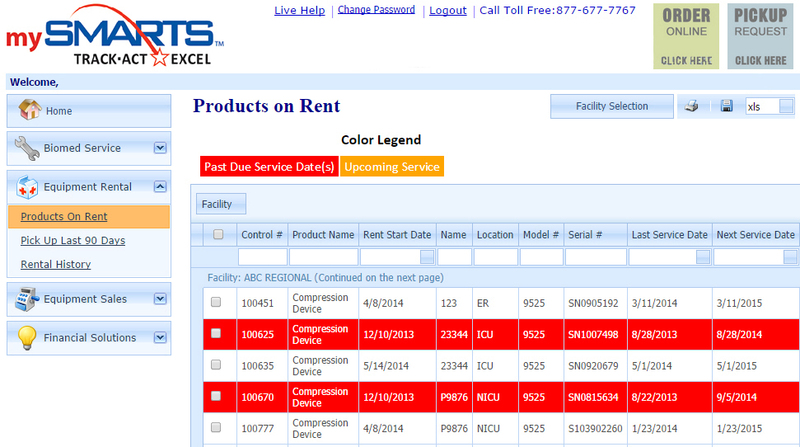 Material Managers can see relevant data on movable medical equipment for the entire facility. Request multiple user accounts for users in your facility with specific access rights. For example, a department head who would like to see only data for rental equipment in their department. The widget-style tools allow you to analyze existing rentals and provide means to get better deals. All data and reports are based on roles and access levels requested by you. *Online ordering and pickups are available only inside our rental service area.